Jacobite came up with a interesting idea the other day for a thread where members could post a update on what hobby stuff they have been up to each day. This is not to replace project logs or modelling or painting just to post things that don't always fit into a current ongoing projects or just link in to an existing project log, fiction piece or a bit of fluff you are trying to write anything as long as it is hobby based. Staff may also use this to mention things they are working on for the Forums. A few pictures may be included to help show what you have been up to and links to other parts of the forum can also be included if you like. To keep this as well organised as possible pop up you activities under a heading for the area it would normally be posted under. here is my last days activity to use as an example of the sort of thing this thread is for. Today I dug out a Nob Biker I converted up some time ago and started getting some paint onto him. 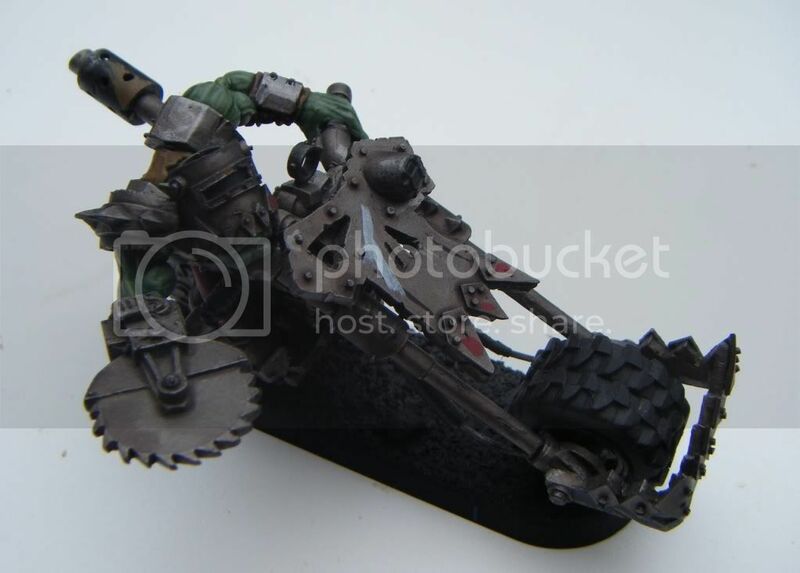 For me this is a plan to push on with a Wazdakka Gutsmek bike,kopta, buggy and skorcha army. The link to the Plog can be found below. https://www.heresy-online.net/forums/...=57978&page=48 Post 239 is the most recent. Apart from sorting through boxes for lost bikers and parts for Buggies and Skorchas not much has been achieved. Started prepping some second hand bikes though. I made a poor start to writing a bit of background for my freshly named Warboss today and the Blitz Brigade in the Homebrew section. Last edited by Viscount Vash; 01-13-13 at 01:28 PM. Painting: This morning I finished off the SM Assault Squad that has been sat upon my desk for 12 months. My attention has now shifted to a couple of SM bikes and Scouts to finish off some other units. Last edited by Tawa; 01-13-13 at 08:33 PM. I painted three Sanguinary Guard models a marble white, much to my disappointing it looked less impressive after I took a second and third look. I made two gear racks for my Kroot to go with the encampment I'm currently building for them. 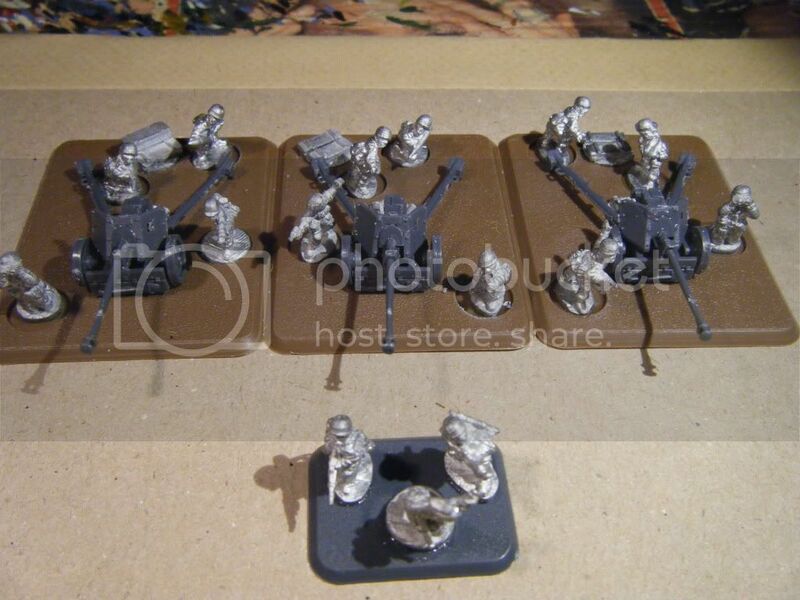 Bid on a Space Ork/Orc & Goblin bitz box on Ebay, didn't win though. Could have been some sweet 'convershuns'. I'll keep my eyes open for more! tweeking the netherheim pattern heavy sentinel. maybe 2 twinlinked autocannons is a bit too much? Last edited by Haskanael; 01-13-13 at 08:54 PM. Right I should probably post something in here shouldn't I. Just got the leathers to do, bit of a wash on the bases, right shoulder unit marking and metal bits on their heads to do, plus touch ups and weathering. Modelling: I'll most likely try and chip away more at some Land Speeder Storms I'm converting up from 2 ruined Land Speeders I have lying around. Last edited by Jacobite; 01-13-13 at 09:13 PM. and some magnetic Termis with the Forgeworld Salamander Pauldrons. So today it will be some paint for these bad boys and girls ! Put together my final platoon of SS PaKs for my Flames of War army. 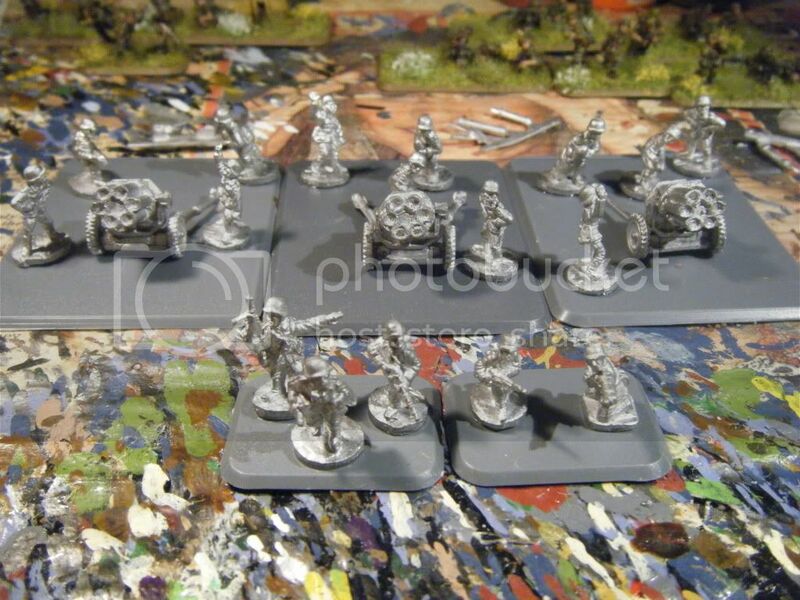 Also put together a platoon of Nebelwerfers I bought nearly a year ago. There's more units I finished basing as well. Just follow the link in my sig if you're interested. Last edited by Khorne's Fist; 01-14-13 at 09:56 PM. This night I started painting an eldar sniper (see my WIP) and washing a GK (who at the moment looks like a steel statue). Hopefully I'll have some wip pics of it tomorrow. - Glowing eyes... how cool isn't that? - Urban basing... There are so many ways to do this cool.